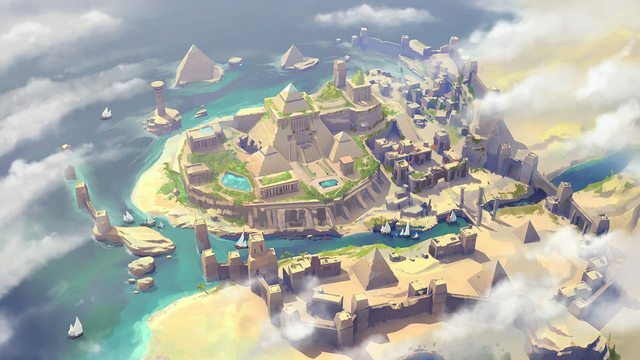 Very soon we'll be seeing the launch of Menaphos, the sandy desert city found far south of Al Kharid. To celebrate, we want your art - and thus begins the 58th Player Gallery! Whether it's sand, city or tomb, we want your artwork to show just what you're thinking about when it comes to Menaphos! The new micro-website www.runescape.com/info/menaphos has a page just for your artwork and we can't wait to see what you'll come up with for us to show on there! There's one grand prize of epic proportion - one real-life Menaphos weapon sent to you. Everyone featured on the website will also receive a month of membership! To get involved, send your artwork over to us at competitions@jagex.com and make sure to include your RSN Entries accepted up until the 22nd of May! Cool to see the player gallery back again! Great to see the Player Gallery finally being booted up again! But uhhhh am I missing something or is there no due date? Yessss! You bet I'm doing this! #TheNamelessPub Best wishes to all.